The amount of information that has been “redacted” (I hate that word) from the MPs’ claim forms and receipts is scandalous. 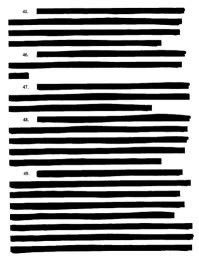 Having seen un-redacted copies of some MPs’ documents I can say there is a lot of information, written notes and so on, that allows people to get a full picture of what is happening. As it is many of these documents pose more questions than they answer. No-one wants to see an MP’s secretary’s bank details, so redact them. But at least the post-code of an MP’s address should be published to check for flipping. Everything else should have been published. Sadly Parliament missed the opportunity again to be totally honest about all this, and it is left up to the Daily Telegraph to put the truth out there. Patricia Hewitt, who is quitting as an MP at the next election, said she wanted to stand down to spend more time with her family. I guess when she said “family” she meant it in a very broad sense, because today she was appointed the new senior independent director at BT. Ms Hewitt, Leicester West, has been on the board at BT since last March. 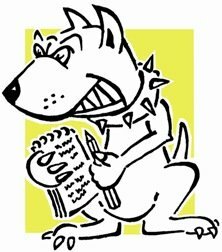 The shadow business secretary told Lobbydog he's planning to vote for Sir George Young. He says Sir George has the experience and knowledge of parliamentary procedure behind the scenes and in the House. "It needs to be someone with great personal respect and an air of authority," he said. "He is a man of impeccable integrity." Clarke added that Margaret Beckett has enough authority to do the job, but he wants it to be a Tory. So if it comes down to a choice between her and John Bercow, he'll go for Bercow. 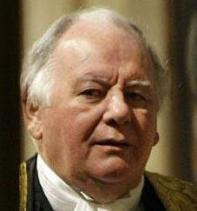 Sycophancy is not unusual in the Commons, but tributes now being paid to Michael Martin are enough to make me sick. This is the House that chose, just a few weeks ago, to drive hundreds of knives into the man's back. Most MPs that didn’t directly attack him were happy to sit quiet while others did the dirty work. Now they are standing one by one to lick the proverbial – Martin is apparently “warm”, “kind” and “courteous”. You’ll be surprised to hear it wasn’t either Kate Hoey or Pat Hewitt who said those things. Nicholas Winterton, who was found to have broken rules by claiming for a flat his family owned, said he was "completely satisfied" with the Speaker’s performance. An endorsement like that is worse than anything any opponent could have said. Brown’s voice started to wobble at the end of the bout between the leaders at PMQs – but it was nothing compared to his hand which shook like a pink blamange. The PM must’ve been stung from the last time his wobbling hand gave away his anger at PMQs, because this time he tried to hide it under his other arm. From where I was sitting it was on show, but it was mutual loathing – and I don’t use that word lightly – that you could feel between the two leaders today. It was an extended tussle that set out the battle lines of the debate that both leaders know is now crucial to their fortunes. Cameron says Brown will cut spending and is lying if the PM says anything else. 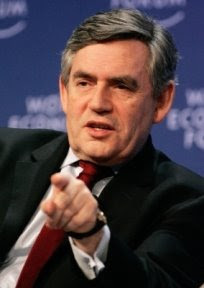 Brown says Cameron is going to cut services while Labour will keep the cash flowing. The Tory Leader normally listens, smiling sarcastically, while Brown speaks – today he shouted repeatedly “answer the question” in frustration. He even got reprimanded by the Speaker for addressing the Prime Minister as “you” – a big no-no in the Commons. A couple of days after Building Schools for the Future (BSF) was slammed by the Public Accounts Committee, Ed Balls has raised the prospect of the project being further delayed. BSF is the Government’s plan to rebuild every upper school and was meant to be complete by 2020. 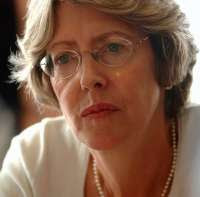 That completion date was pushed back to 2023 as a result, the committee said, of “over optimistic” and “poor planning”. 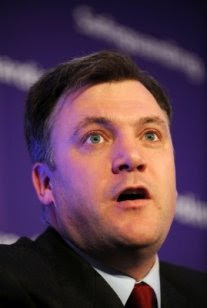 But speaking to Lobbydog today Ed Balls refused to commit the Government to the 2023 deadline. He added that the “state of the economy” over the next few years and what happened with unemployment and debt interest would “very substantially affect” how much money BSF might get. Is that Labour speak for a possible spending cut? Five! And at least three of those were hacks. I've seen more people at adjournment debates about badgers. 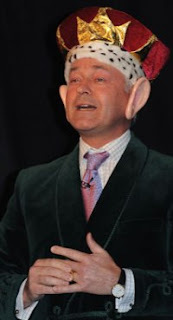 The walls of Emmanuel Hall, the venue for the first hearing of the MPs’ Expenses Inquiry, echoed as Alan Duncan spoke to a room with 200 empty seats. After all the fuss about expenses, the level of publicity this meeting got was pathetic. It is a little publicised fact that the inquiry into MPs' expenses starts today. So much for transparency and public engagement – they should’ve been shouting about today's hearing of Christopher Kelly's committee from the roof tops. The hall which has been booked is apparently very large, let's hope it’s not too late to fill it. The hearing starts at 10am at the Emmanuel Centre, in Marsham Street, Westminster. Today is important because we'll get an idea of just how penetrating and just how determined this inquiry is really going to be. Harriet Harman and Alan Duncan are among those giving evidence.